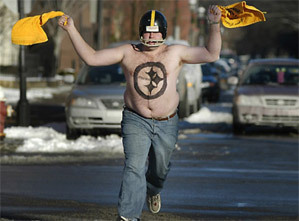 First off, congrats to the Pittsburgh Steelers! Six Super Bowls, a record no other team can match, moving past Dallas and San Francisco for most all-time Lombardi Trophies. Schools in Pittsburgh were two hours late yesterday to help people recover from yet another championship. So, congrats (that’s for you Chris ’04). Speaking of championships, while Pittsburgh’s record of six Super Bowls is fantastic, are they the greatest NFL franchise ever? Bob Costas said as much as the NBC broadcast wound down, calling Pittsburgh not only the best NFL team of all-time, but one of the greatest pro sports franchises of all-time. But is he right? If you ONLY look at the Super Bowl era, then he is right. Six titles in 43 years is nothing to downplay. In today’s day and age, of salary caps and widespread free agency, so many teams and so much parity, that to constantly churn out a contender is amazing. But what about the era before the “Big Game” had a label? Do we simply ignore the NFL championships because the games didn’t have the words SUPER BOWL attached to them? The NFL has been around a lot longer than 1967. In fact, they’ve been crowning champions since 1920. So you have to take the full body of work of the league before you decide such things, don’t you? If you ignore the history before Super Bowl I, then you are blowing about 50% of the entire history of the league. That would be like baseball not looking back before, say, 1950. So forget about Babe Ruth or Lou Gehrig or the ’27 Yankees. Kind of ridiculous, right? Anyway, Green Bay has the most NFL championships ever, with 12. The Chicago Bears are second, with nine, while the NY Giants are third, with seven. Pittsburgh has six, all Super Bowl wins. Impressive, all the way around. But while what Pittsburgh has accomplished is great, NBC and others shouldn’t completely disregard the history of the league before 1967. Moving on, there are some decent recruiting write-ups making the rounds today, as we get ready for the signing day BLOWOUT tomorrow…. Howie Stalwick had this in the P-I. What do you take from this? It’s sort of a cold shower if you ask me. WSU has sunk to LAST in the PAC-10 according to Rivals.com recruiting rankings? Scout.com has them much more of a normal setting, at 50 in the country, but wow, Rivals sure isn’t excited about WSU’s haul. Interesting the discrepancy between the two services, isn’t it? Here’s a question though – will this Puget Sound success continue, now that UW appears to have their house in order (sort of?). Recruits were avoiding UW this whole recruiting season until Sarkisian was hired. But will there be future recruiting battles now that UW has their coaching situation figured out? Or will UW return to their ways of getting the headline Puget Sound talent? Personally I don’t think WSU is going to win many head-to-head battles over kids from the Seattle area. It is an area we’ve never done too well with, and while we know it’s different with Wulff and staff, still, it’s hard to picture some top-notch kids from the Seattle area choosing WSU over UW. At least on a consistent basis anyway. Jake Heaps of Skyline just named his “final ten” schools, and WSU wasn’t on the list. Remains to be seen….but I don’t think we as Coug fans should hang our hats on the Puget Sound successes this year. Let’s see how it plays out over the next few years before we see if it’s a trend, or merely a post-Willingham/pre-Sarkisian fluke. Finally, Grippi has this from the Spokesman. It’s a look at the 365-day drain that is recruiting, and all the time and energy spent on trying to build this thing into a competitive outfit. Recruiting and all that goes with it, the hard work behind the scenes that fans never see, it’s just a grind. Hats off to these guys for working harder than ever, and for pouring all they have into this program. That’s it for today. We’ll have full coverage of signing day tomorrow, updating as the LOI’s show up in Pullman. ENJOY YOUR TUESDAY, and GO COUGS! You are currently browsing the archives for the Pittsburgh Steelers category.